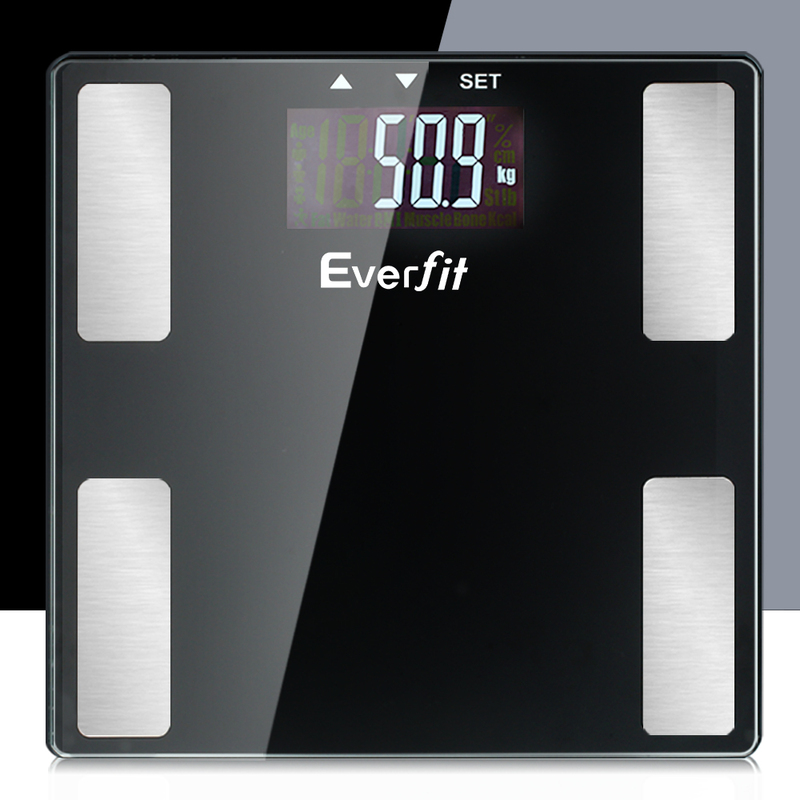 Measuring your weight and other health parameters has just become easier with Everfit Body Fat Scale. 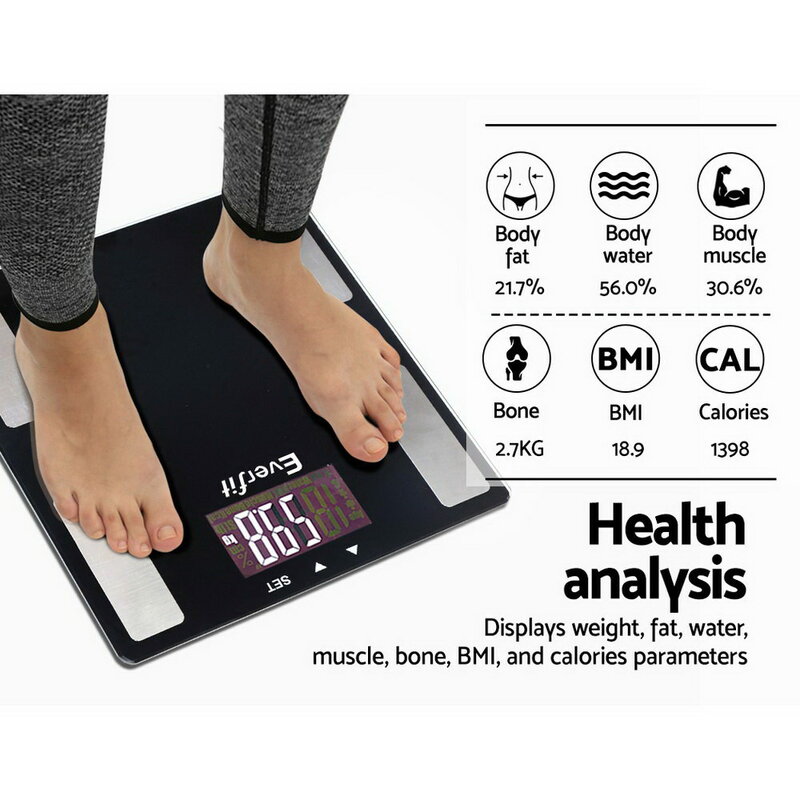 Equipped with a high-precision sensor system, the body fat scale measures up to seven parameters such as weight, water, body fat, bone, calories, BMI and muscle contents. 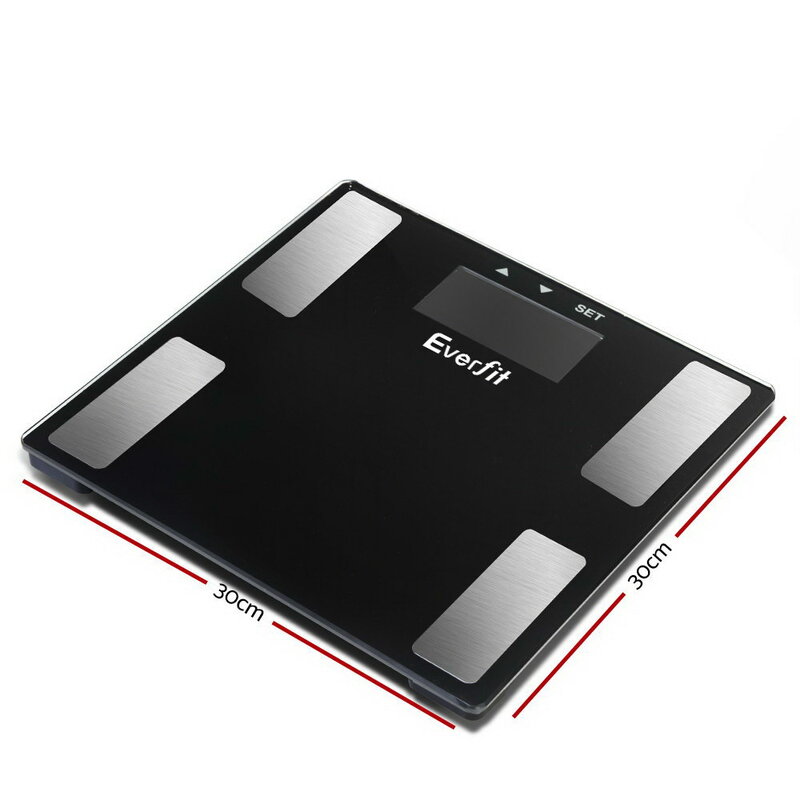 The measurement range handles up to 180kg or 400lbs in accurate 0.1kg/0.2lbs scale division. 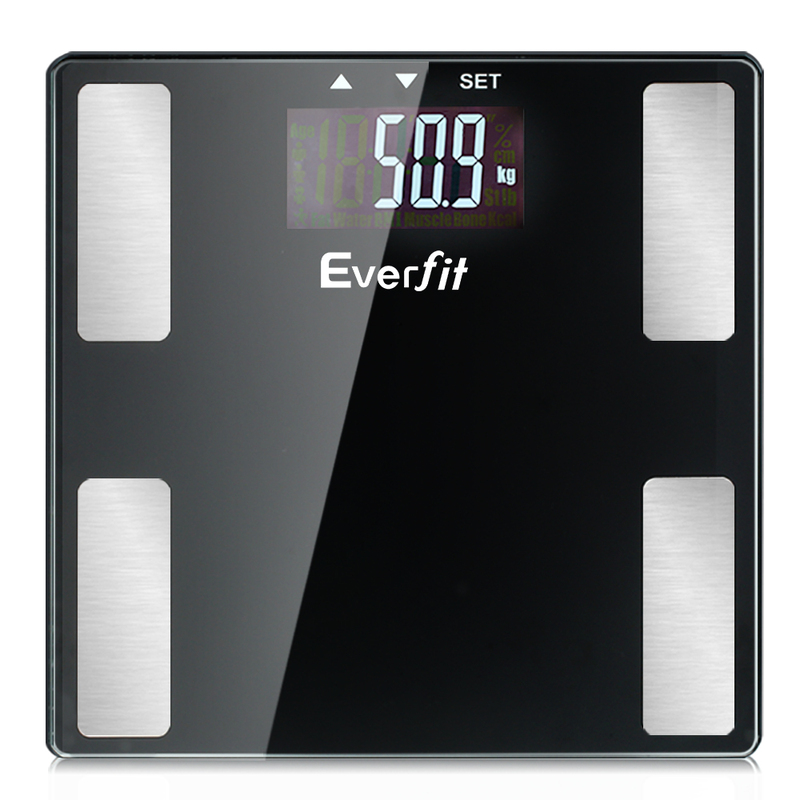 The scale also has a durable 6mm tempered glass platform. To use the scale, just set up your personal data, select your profile and step onto the scale. 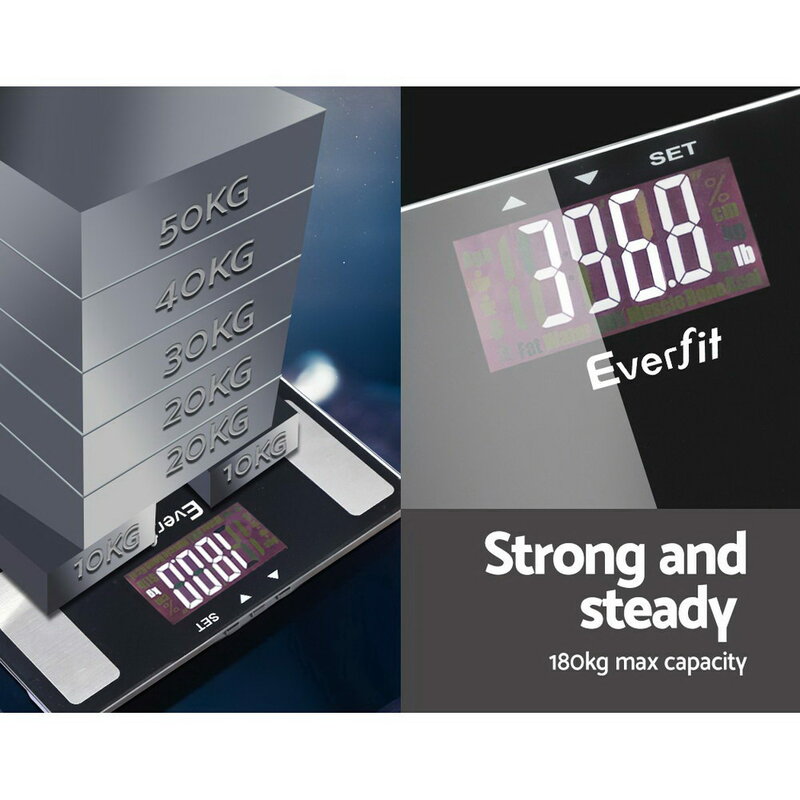 The scale will display the results on the large LCD display after each weigh-in and you can store profiles of up to twelve users. 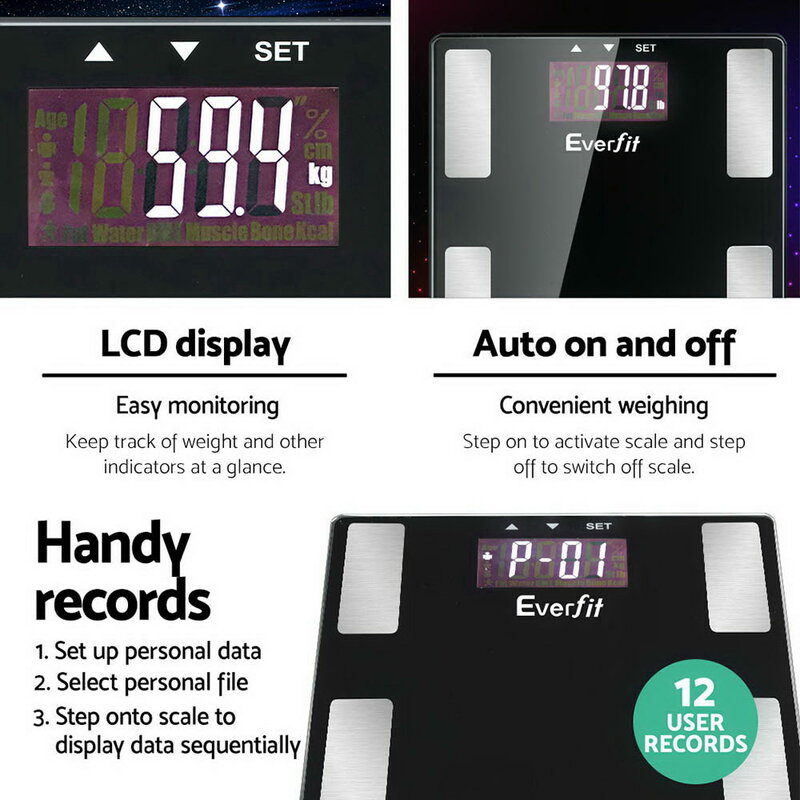 With other great features such as low power/overload indication and auto on/off, the Everfit Body Fat Scale makes keeping track of your health fast and easy.